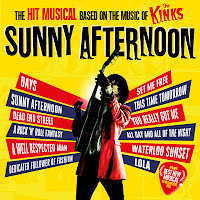 Sonia Friedman Productions and Ambassador Theatre Group are delighted to announce an extensive national tour of SUNNY AFTERNOON opening at the Manchester Opera House on 19th August 2016 and touring into 2017. Recipient of four awards at the 2015 Olivier Awards including Best New Musical and Outstanding Achievement in Music for Ray Davies. 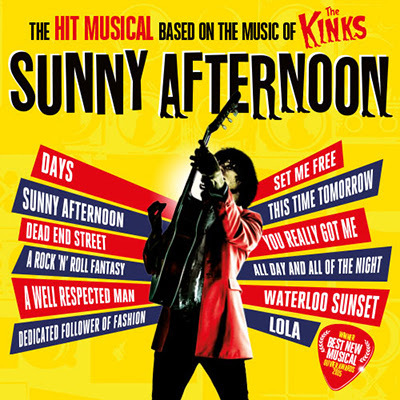 It features some of The Kinks’ best-loved songs, including You Really Got Me, Waterloo Sunset and Lola, SUNNY AFTERNOON tells the story of the early life of Ray Davies and the rise to stardom of The Kinks.